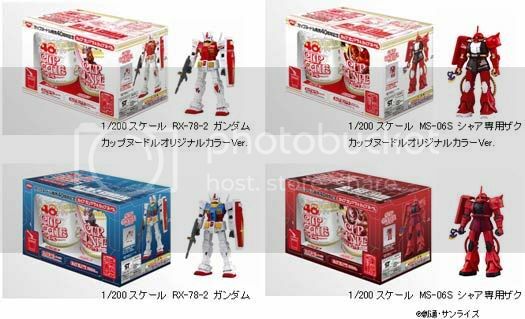 Gundam Cup Noodles 40th Anniversary Figures - For The Hungry Gundam Geeks! 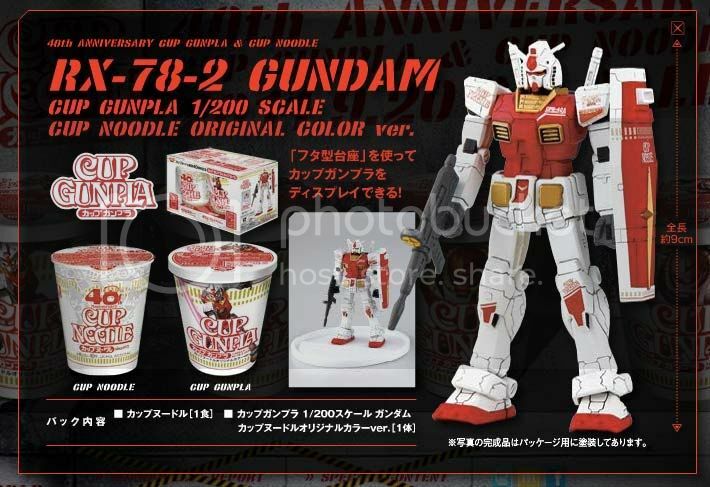 If you've been collecting Gundam Figures your whole life and absolutely need noodles for sustenance you're probably going to go crazy over these limited edition Gundam Release Cup Noodles! 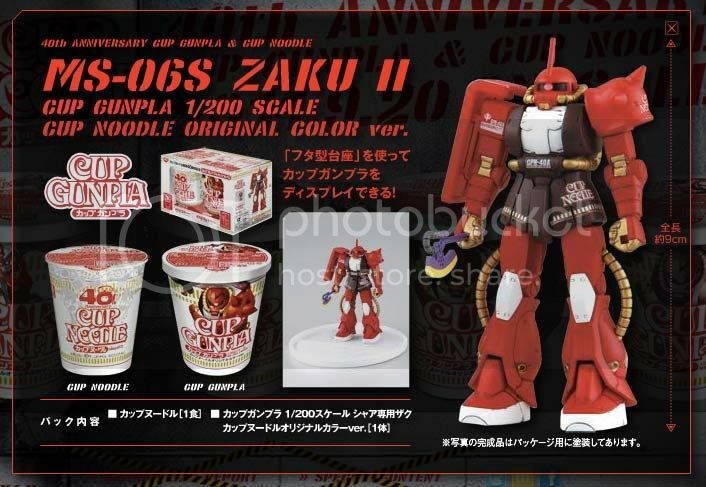 I'm not sure how long these guys from Bandai have been doing this but they seem to be releasing limited edition Cup Noodle Gundam Figure variants every year. Far as I can tell the set will only be released in Japan and only a limited number of noodle loving Gundam collectors will be able to grab 'em. 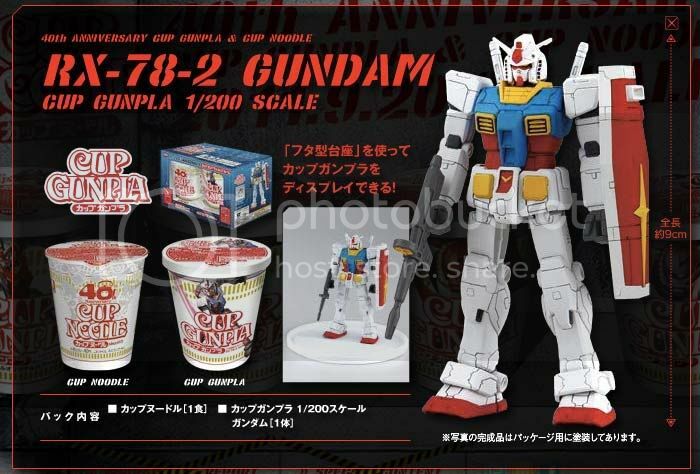 So if you absolutely need to have these to satisfy your Cup Noodle... err... Gundam cravings better grab a ticket to Japan now as these will be released on September 20th 2011 for a yet to be determined price. You can check on the break for a closer look at the 40th Anniversary Cup Noodle Gundam Figures. Here's some info translated from Japanese of course. , 1 / 200 scale RX-78-2 Gundam noodles Original Color Ver. 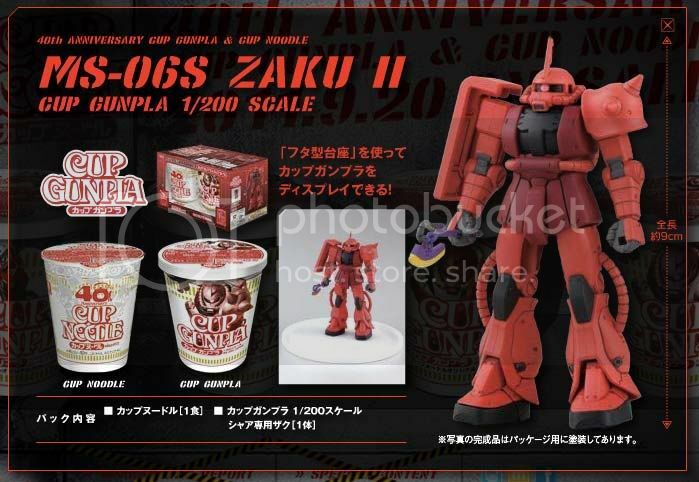 , 1 / 200 Scale MS-06S Zaku Char noodles only Original Color Ver.